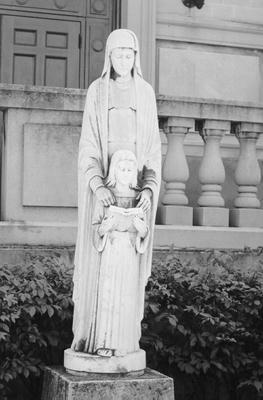 Female figure in a long cloak, both hands rest on the shoulders of a female child who holds a book. : “St. 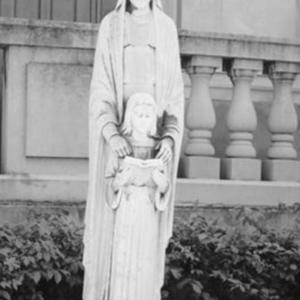 Ann & the Virgin,” Ohio Outdoor Sculpture Inventory, accessed April 22, 2019, http://oosi.sculpturecenter.org/items/show/249.